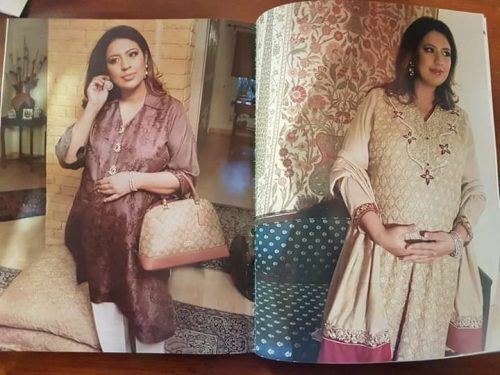 Pakistani Maternity Outfits: Are you looking for your closet for the next nine months? This is exactly the right place! Pregnancy brings so many changes in your lifestyle. 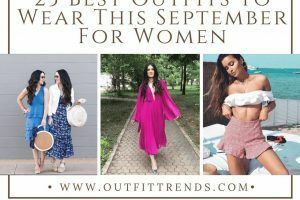 Women tend to note a lot of change in their body during this period, and it gets hard for them to decide what to wear during this beautiful phase of their life. But hey beautiful moms to be! You no longer need to sacrifice your style while being pregnant. 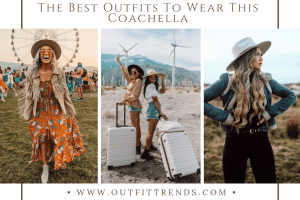 We are here to help you with some amazing outfit ideas, and by wearing them, you’ll steal the show. Being pregnant isn’t easy. It changes your life drastically. A mother does everything to protect her child and provide the baby with the best of comfort, but in between she forgets herself. During this phase of life comfort for mothers to be is important and a good outfit is a key to comfort. Dear beautiful Moms To Be! Know that you are still beautiful. Choose a style with comfort. Don’t go for clothes with fitting. Kaftan is a dress that a pregnant woman must keep in her wardrobe. It is super comfortable and stylish. 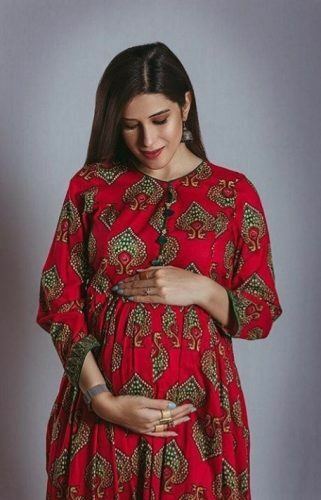 This is something which will not make your baby bump obvious and will add grace to your personality and without any doubt, it is a great style. You can pair it up with a trouser or a stylish Capri/straight pant. 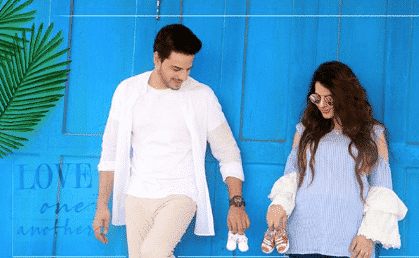 You can also find some cool ideas from these 14 Best Indian Celebrities Maternity Outfits Ideas for 2019. Ladies? No matter what day you are planning. It might be a busy day ahead with events to attend or just a comfortable day at home. SHRUG is the best idea. 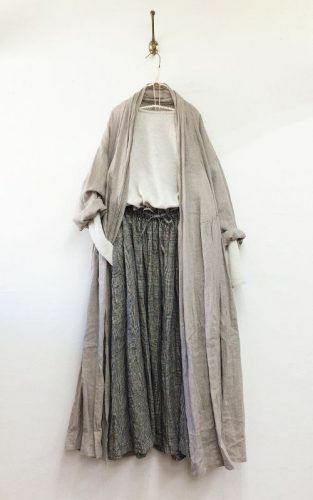 You can have fancy or embroidered shrugs to pair up with fancy dresses for special occasions or a plain shurgs to wear with your PJs or a loose T-shirt and cozy trouser. 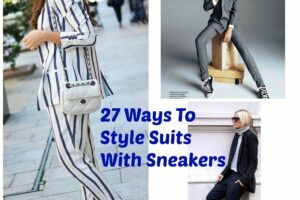 Just in case you are planning a small outing or a gathering with your friends and want to look smart, as well as beautiful, a jumpsuit is a good idea for you. 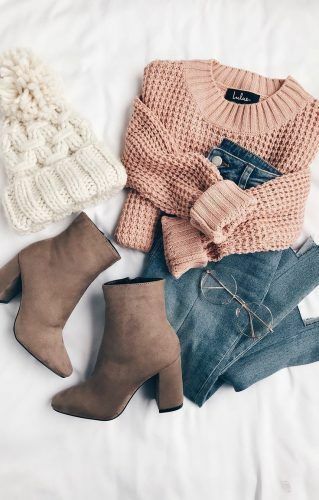 Just wear it and add some layering to it. Wear a long coat over it if it’s winter season or a shrug if it’s summer season, a stole or scarf will work with it well. There you are, super classy! Hey! All moms to be out there! Maxi will never disappoint you! This long stylish dress will make your body look beautiful, and you’ll feel confident in yourself. You’ll be easy in it. Moreover, you can wear it in any season be it summer, winter, autumn or spring. Just choose your favorite fabric and get yourself a trendy maxi. Twirl around and be happy. You deserve the happiness that happy dresses can bestow you with. Ladies! If you don’t like wearing maxi’s or jumpsuits, you don’t need to worry! We have another idea for you. You can wear A-line dresses that are asymmetric. Its a good idea for summers as well as winters and they are easy to carry. You can wear them with trousers, shalwar or a straight pant, whatever you like. And their plus point is that you can wear them on any occasion be it casual or formal. Women love to dress up, but dressing with comfort is all that matters! Dear beautiful moms to be if you live in a cold region longs coats and blazers will turn out to be your best friends! You can wear them over anything anytime. Moreover, they’ll keep you super warm and cozy and won’t be obsolete. You and your baby can enjoy being cozy together. You can usually find a great range of long coats and blazers in plus sizes from the Pakistani brand Zeitgeist. Nowadays maternity shoots are highly trending everywhere. Be it on Instagram, Facebook or any other social website and people are loving it. Celebrities are adding a lot more flavor to maternity shoot, and people are going crazy over it. Why not have your maternity shoot? And what to wear? The answer to this leads us to another question here. Why not wear something comfortable like PJs? A maternity shoot inside your home with your family? Wear super comfy PJs or a Tee shirt with trouser and if you want you can get shrug over it. And if this is not it what you want, you can go with a gown in any beautiful color and get fancy ready and cherish this time of your life. Get some great pictures and create memories. 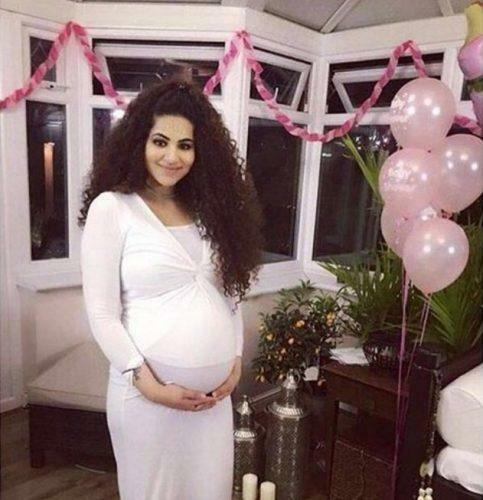 A baby shower is every woman’s dream, and this tradition is followed for a long time. But with the change of time ideas are changing and people want to add something new to these old traditions. Nowadays gowns are on top of the list and hot favorites. You can go on wearing a blue gown if you are expecting a boy and pink if you are expecting a girl. And if you don’t know the gender of your baby, you can choose some eye-catching colors like sea green, yellow or golden. 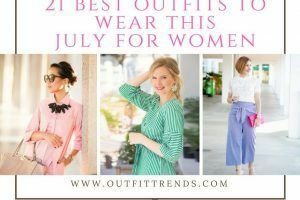 Here are 18 Comfortable Summer Baby Shower Outfit Combinations. Pregnant women need extra care and extra attention. 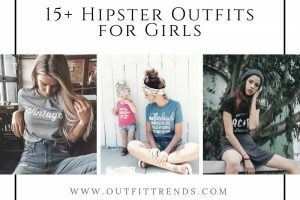 And brands have started acknowledging this fact now and are launching their lines for moms to be. 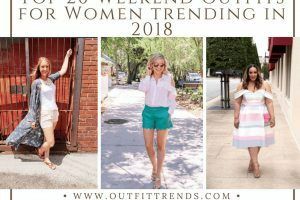 Many online stores are offering maternity clothes, and you can shop right from sitting at home. Apart from that many other brands love to take care of moms to be. 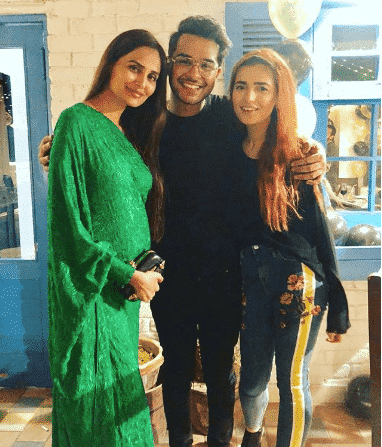 Brands like Gul Ahmed, breakout generation.pk and Mango launched their campaigns regarding maternity outfits and mother care over a wide range with reasonable prices lying between 2000 to 5000. Moreover, online websites like women secret and daraz.pk also offer maternity outfits in a reasonable range. 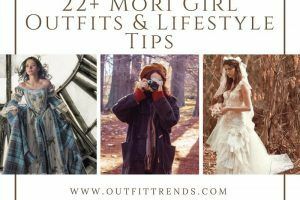 Here are a few links just in case you want maternity wear. 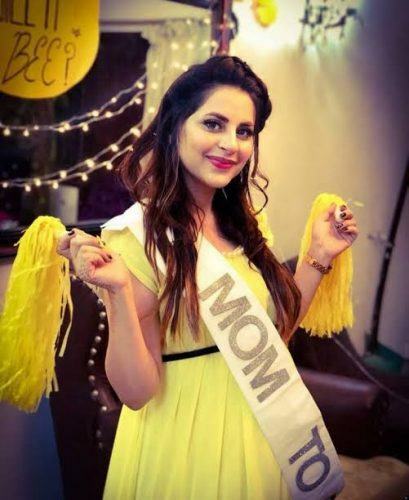 You can see here the beautiful publicist, Aden Rehan, in a Generation’s outfit for Mothers Day photoshoot. Gowns never go out of fashion; they are in fashion ever since. They come in various varieties for various occasions. Ladies be it casual or formal even on a wedding gown can be your favorite option. Depending on the occasion you can choose what kind of gown do you want. A light one or a heavy one. And yes make sure you choose the right fabric as gowns come in all sort of fabrics be it silk, jorjet, cotton or any other. Choose for yourself and your baby! 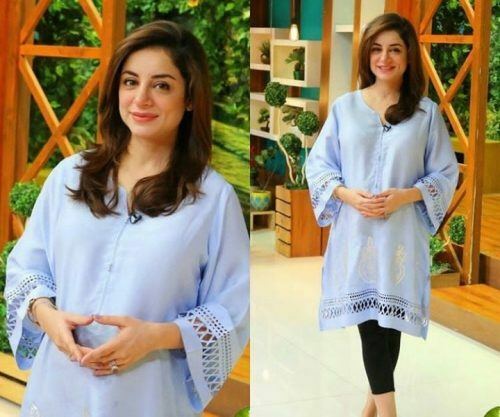 Casual wears are very important when you are expecting and you need many of them because your body changes drastically during these nine months. 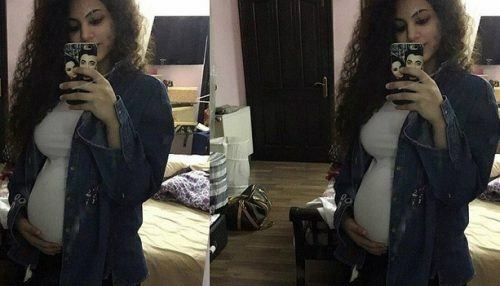 Hence go for loose clothes that can be used throughout and you can enjoy being pregnant. 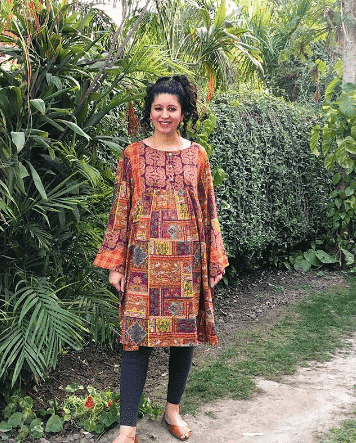 Kameez shalwar, straight shirts, casual short gowns or frocks are usually a good idea. You can add up style to it just the way you want. If you’re having a baby girl, you’ll find everything you need to know about shopping for her from these Newborn Girl Outfits. Stuck there thinking about what to wear on a formal occasion? What to wear at a business meeting or a business lunch. What to wear on a family gathering. What to wear on a reunion or any other event. Stop stressing! There’s so much that you can wear. You can wear kurta and a straight pant/Capri. 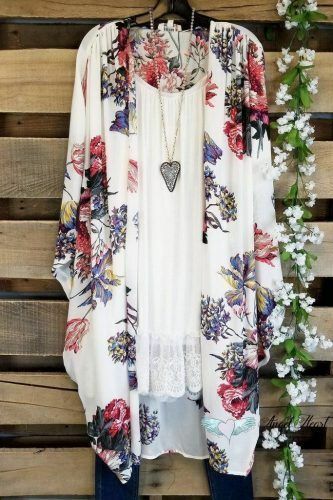 A floral dress, tunic, wrap around or a short gown. These dresses won’t make your figure prominent, and you can enjoy yourself while being all comfortable and confident. One of the hardest decisions that a working mom to be has to make is what to wear while going to the office in pregnancy. Most women are not comfortable with their baby bump being too obvious in office in front of male colleagues. But ladies, relax! We have a few ideas for you. You can go with Shalwar kameez, or Kurta and trouser, A-line shirts and frocks can also be considered. Matcha shawl with it or put on jo a shrug! This can be possibly the best idea. How can women ever miss any party! Not even a thing to think about. Party, friends, family, food, gossips. Women are crazy about it and what do you expect from a pregnant woman going through all the mood swings; she isn’t missing this opportunity at all. But wait… What if she doesn’t find the right outfit? Don’t worry. 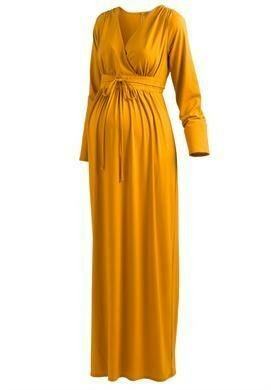 Beautiful pregnant ladies try wearing a maxi, jumpsuit, floral dresses, short gowns or skirt to a party. You’ll feel super comfortable and love being the center of attention looking all cute. Wedding season! Heavy dresses. Fancy, glimmer, and shine everywhere. Missing the old outfits that no longer fit you? It’s alright you’ll be able to wear them back one day. But for now, go on with something that isn’t too heavy as you might not like carrying a heavy dress with heavy embroidery. Try wearing a light gown or lehenga with fixing the dupatta in a way that covers your bump. 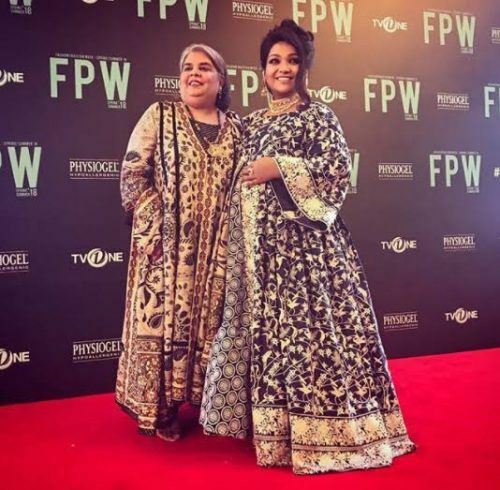 You can even go with a saree or cape sleeve gowns. Kameez and trouser with light embroidery won’t be a disappointment as well. 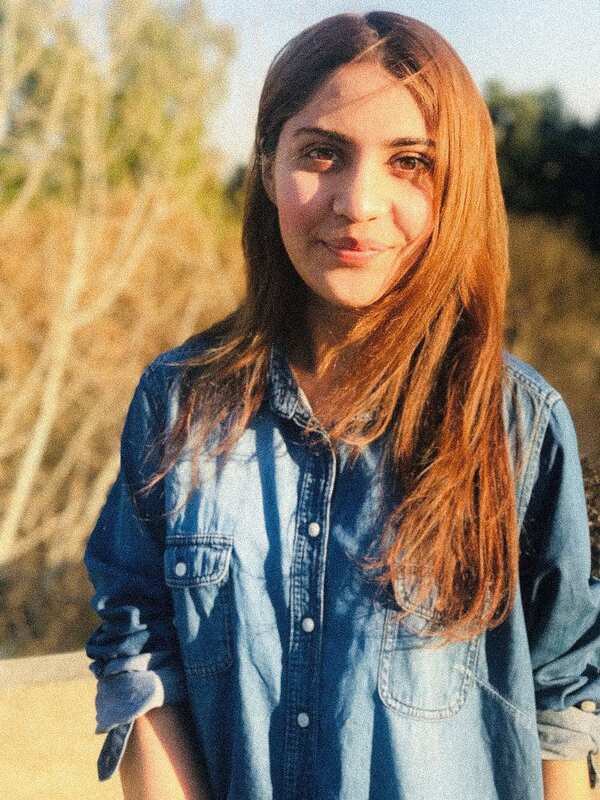 Here are Top 20 Pakistani Beauty Bloggers To Watch In 2019. Summer: the hottest season. One the hardest season for expecting women. Roller coaster of mood swings with the hormones being triggered. No one can mess around with them in summer. And women surely don’t want to add more to it by wearing the wrong outfit. Moms to be, this season you can wear light color outfits, floral prints or block prints. Make sure your dress is super comfortable. It should be loose so that you don’t sweat much and feel uncomfortable with yourself. We care for you and recommend you to wear frocks, kurtas, A-line shirts, tunics and lose maxis. Winter, being warm and cozy is all that matters this season but can we even forget the style? Not at all. In winter you have a lot of options that are comfortable yet classy and trendy. 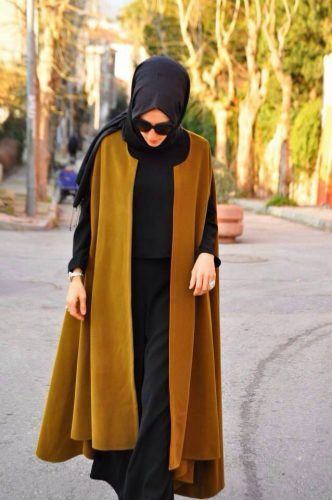 You can wear oversized hoods, sweaters with trousers or jeans(only if you are comfortable with them). You can wear them with leggings as well if you like to wear them. Blazers and long coats can also be kept in consideration. Don’t forget to put on gloves, cap, and socks. And avoid going out in cold or rain because we don’t want you to get sick. Celebrities have always been an inspiration for people. 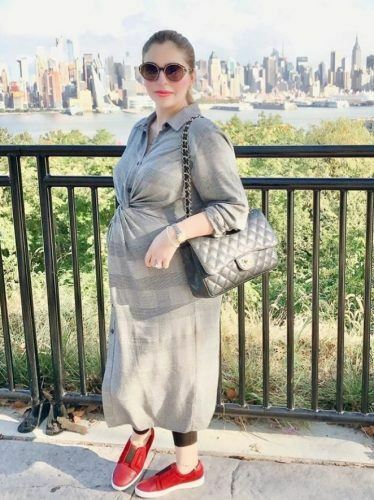 Nowadays pregnant celebrities are giving women some serious pregnancy goals and great outfit inspiration. And it’s never wrong to pick up something and adopt what inspires you. Just make sure it suits you, and you are comfortable in it. You can always create your signature style. 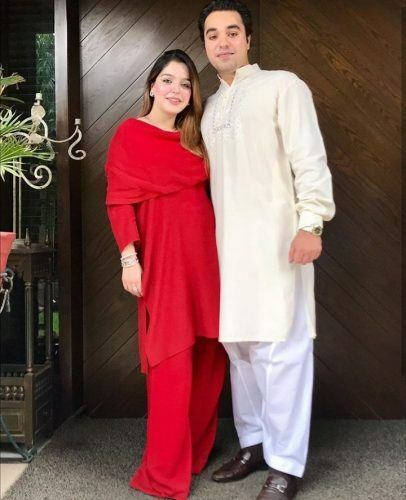 Moms-to-be need to have a shawl or stole/scarf with them, especially since in Pakistan most pregnant women prefer covering their baby bumps up properly. 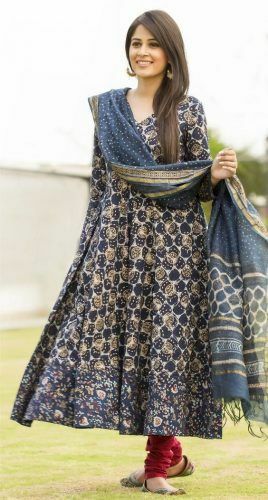 In Winters, a cape shawl can be great for this purpose, and you can usually find some great variety of warm and elegant cape shawls at Nishat Linen. It can be paired up with any sort of outfit in any style after all why to compromise on style in any stage of life. Apart from that, have a good trendy bag with yourself, keeping all the necessary things that you might need especially if you are traveling. And ladies don’t forget to wear light jewelry with your outfit it will add more beauty to it. While being pregnant, your feet often swell up, especially in the last months and wearing high heels get risky and no mom to want to risk her life as well as her baby’s life. Thus, keeping loafers is a great idea. Flat and comfortable shoes like ballet will be good too. Loafers can be paired up with all casual dresses. 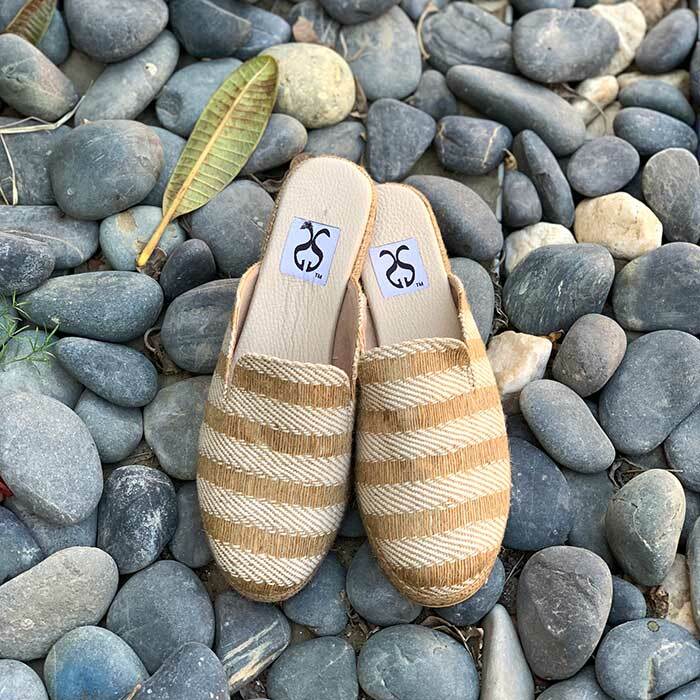 Nice and stylish flat sandals are good enough for other occasions or slippers with a good grip. And if you are one of those people who love heels you can go with block heels or heels that aren’t too high. They are trendy yet safe. 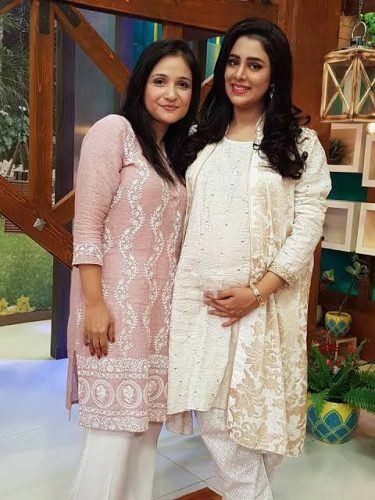 Some great Pakistani brands that you can shop at for comfortable shoes during pregnancy include Mocciani, Logo, Chapter 13, Samia & Azmay Shahzada and Almas. This cute and casual Cava slip-on by Samia & Azmay Shahzada, for example, are priced at Rs. 4000, and they can be your perfect Winter outdoor shoes during pregnancy. All these local brands are producing some great quality shoes in elegant designs and at very reasonable prices. If you’re looking for imported shoes, you can find brands like Charles and Keith, Pedro and Aldo in Pakistan. We wish you happy and wonder-filled times ahead! So happy that I found this article! !